Welcome to the eighth installment of The Books that Read Us series! Today I want to introduce you to Chris Miller and the convicting story he writes below about how something he read drastically shook up his life. I love the variety we've had in this series so far! I was sitting in my office. Everything was in place. Purpose Driven Youth Ministry was resting on my desk. tobyMac's debut album was rocking on my Dell Computer. I was looking good in my freshly-ironed Kerusso t-shirt. I popped a Testamint into my mouth and was ready to fulfill my destiny. I was going to be the next cool youth pastor. This is what I felt God had called me to. I was going to change the game by showing the world that you could be hip and holy. I was going to bring Hollywood-quality awesomeness to youth ministry. I was going to be the first youth pastor to be on the cover of Rolling Stone. 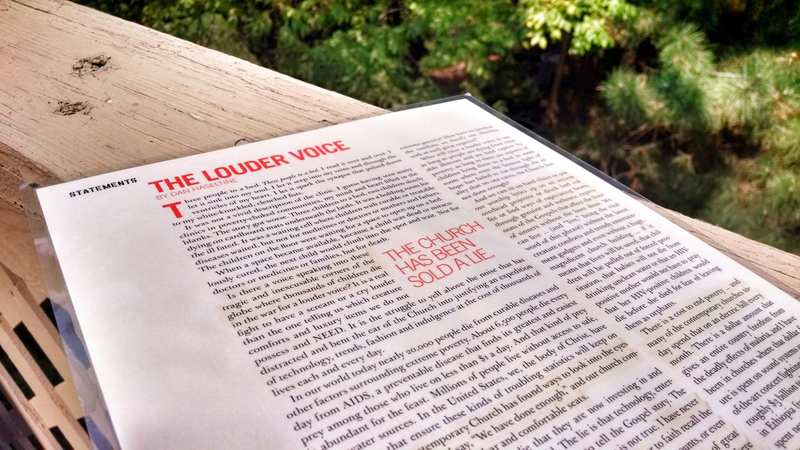 A one-page article entitled "The Louder Voice." It is written by Dan Haseltine, the lead singer of Jars of Clay. In the article, he recounts in vivid detail, an experience he had on a recent trip to Africa. He describes being in a run-down hospital and seeing children, three to a bed, sick and waiting to die. He conveys the hopelessness of the situation with such realism I began to weep. He explains that each day over 20,000 people die due to hunger and preventable disease. He adds that another 6,000 are orphaned as a result of the AIDS crisis. I couldn't believe those numbers were real. Every five seconds we lose someone. Not because of war or cancer or some notoriously deadly disease like Ebola, but just because they didn't have enough food or access to basic health care. Just because they were poor. This blew my mind. It blew my mind for two reasons. One, it should blow everybody's mind. It is devastating and heart-breaking. Two, it blew my mind because I had never heard it before. I had been in church my whole life. I grew up going to Sunday School and Vacation Bible School. I was "that kid" in the youth group — the one with the Teen Study Bible and a killer collection of WWJD bracelets. I had a degree from a Christian University in Pastoral Ministry. Yet, at no point in the first 23 years of life, did anyone ever mention to me that every five seconds someone dies just because they are too poor to live. Or that we are called to do something about it. Haseltine goes on to discuss our role, our calling as Christians to reduce this number. God has called us to feed the hungry and heal the sick. But, he points out, we have become so obsessed with being cool and hip that we have "found ways to look into the eyes of a starving child and say, 'We have done enough,' and our church community needs a new coffee bar and comfortable seats." He challenges the church to focus less on entertaining and more on engaging those in need. Then, in the line that will forever haunt me, he concludes, "There is a cost to end poverty … and many of the contemporary churches today spend that on an electric bill every month." Jennifer is calling this series "The Books that Read Us." But this article didn't read me as much as it jumped off my desk and knocked me off my chair. It blinded me, then opened my eyes. It was my Damascus Road experience. As I wiped away the tears and closed the magazine, I looked around my office. Everything had changed. The things that had meant so much to me just a few minutes prior now meant very little. In that moment, I realized ministry isn’t about being cool or hip or Hollywood-like or cover-worthy. It is about meeting the needs of those in need. Since then, this article — which is now laminated and hanging on my wall — has led me to run marathons, attend seminary, visit Kenya and Zambia, and become an employee of World Vision. It is also given me a new goal in youth ministry: I want to make sure no one ever goes the first 23 years of their life without knowing. Because once we know — once we understand how devastating and heart-breaking the need is — we can … well, as Haseltine says, end poverty. 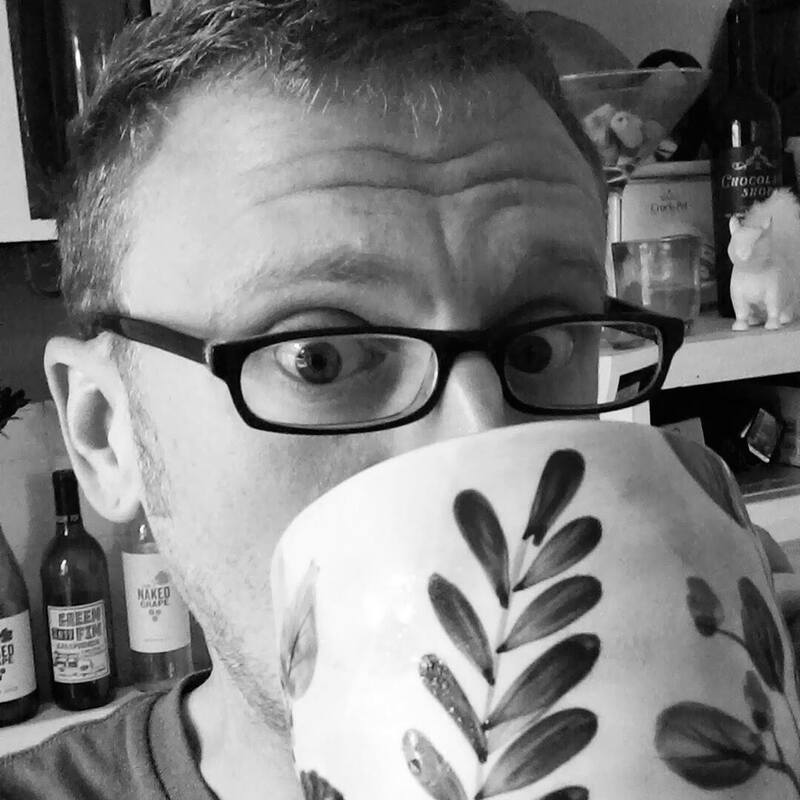 Chris Miller is a coffee-driven, kind-of-awkward nerd, as well as a husband and father. He works full-time at Bethel Neighborhood Center and part-time for Team World Vision. In his free time, he runs to raise money for clean water in Africa, and speaks about his experiences in hopes of getting others to do crazy things to make a difference in the world. 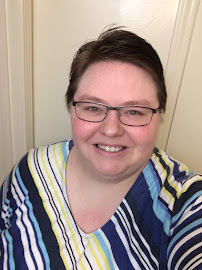 He enjoys reading, writing, teaching, traveling, and spending time with awesome people. You can connect with Chris on Twitter: @thatchrismiller, Facebook: www.facebook.com/thatchrismiller and on his blog: www.chrismillersblog.com.